When I hear “Super Bowl,” I think: Souper Bowl. That’s because I absolutely love soup! Soup became one of my favorite types of food when I was very young and the Campbell’s soup company was offering a “Campbell’s Kid” doll if you sent in labels from your soup cans. My flavor was tomato and I ate lots of it to get that doll. Other than that, I pretty much ignored the existence of soup until I studied macrobiotics and we had miso soup for breakfast every day. Really? Soup for breakfast? How odd was that! 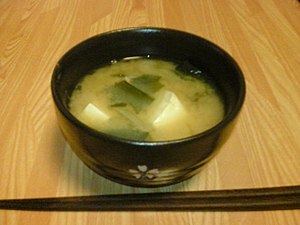 Turned out miso soup is incredibly satisfying to make and eat and is a wonderful thing to start your day out with. It gets your digestive system going, it alkalizes your blood, and there are unlimited variations you can create in the way of miso soup! So I learned how to make that and found out I really, really love soup. I also learned as a cooking student to make lots of other soups to serve as a starter for dinner as well as for breakfast. Bean soups, whole grain soups, veggie soups – seems we never ate the exact same soup twice. That’s because the world of soups is infinitely variable! I used to make huge batches of eight different soups for my local health food store to sell. That was back in the 80’s. I had a five-gallon soup pot! 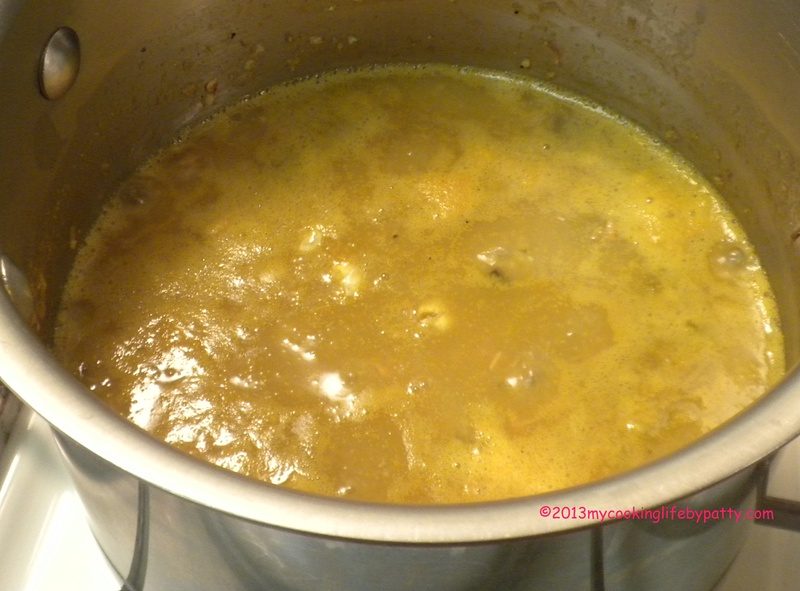 I found out that soup is one type of dish that is very easy to make in large batches without much trouble. That’s probably why we have “soup kitchens” for the homeless or unfortunate. You can feed a crowd with soup! Soup-making solves many family diet issues and it is economical. You can get people to eat more veggies by putting them in soups. You can get people to eat more complex carbs by using beans and whole grains in soups. Soup can be comfort food. It can also be food a sick person is willing to eat when they don’t want other foods. A young child can quickly become very handy with a spoon if he or she is given some not-too-hot soup to eat. You can make your soups light or hearty, or start with a light soup and make it richer later on and vice versa. You can also use up your kitchen leftovers and last wilting bits of veggies from the bottom of your refrigerator crisper by putting them into soup. And of course you can make enough soup to last a few meals or freeze the soup for later. Soup is easy too. There are lots of recipes around for soup and if you haven’t tried making your own soup then I recommend starting with a recipe or two until you get the hang of it. Mostly you may want to know about the broth for the soup and how to get that. That is the only part that may seem a bit labor intensive. Most of my soup broth comes from saving the water I used to boil vegetables. I don’t always even use a special broth and just make the soup using water and using seasonings to bring out the delicious, natural flavors of my ingredients. Sometimes my “broth” consists of bringing spring water and a 2-inch piece of kombu seaweed to a boil. The seaweed adds plenty of minerals and a mild flavor to the water. My only caution on the subject of soups is to be alert if you’re buying soup that’s already made or in a mix. Even in the natural food store, you really have to read the labels because cane sugar juice is in a lot of the canned or pre-packaged soups and broths. You can also buy powdered miso soup mix and soups that only require adding boiling water. All of these are pretty salty and the quality of the ingredients is definitely not equivalent to what you can make at home from fresh ingredients. I don’t recommend these salty mixes. Same goes for the “ramen soup” mixes you can buy in the dollar store. Read the ingredients sometime and you’ll see what I mean. 1. 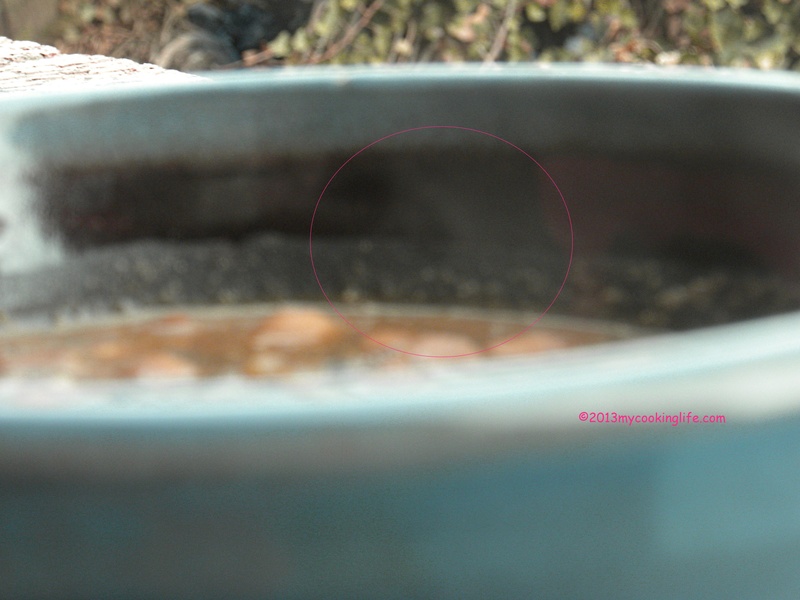 The broth is the basis of the soup and should be of the highest possible quality. If you are using water, make it spring water. If you are buying pre-made broth, don’t buy one with sugar in it and make sure it is organic. 2. 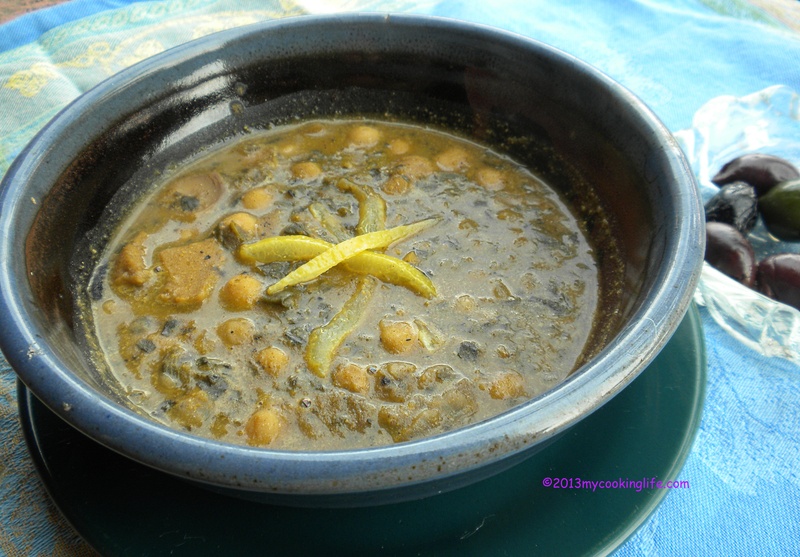 If you are going to make soup with beans in it, use kombu seaweed also. The minerals in the seaweed help you digest the beans without getting flatulence. 3. I love an immersible hand blender! You can make a creamy soup without cream by blending the soup especially if it is something like a winter squash soup. Some grains, beans and even vegetables can be blended into a nice, creamy consistency. This also works for a cold cucumber soup. 4. To make a richer-tasting soup, try sauteeing some of the ingredients before adding water or broth. Sauteed onions and garlic, for instance, can really change the taste of the soup. 5. Garnish your soup. You can use parsley, ginger, sliced scallions and many other interesting touches. These add another layer of flavor to your soup and make the presentation beautiful and appealing. Slice the onions into very thin slices. Bring the water and wakame seaweed to a boil and add the onions. While the onions are cooking, wash and cut the big kale leaf into small pieces. You want everything in the soup to be small enough to pick up with the spoon when you’re eating it, i.e. bite-size. Cut the tofu into small bite-size cubes. When the onions have become translucent and sweet-smelling, add the kale. When the kale starts to turn bright green (this only takes about a minute) add the tofu. Simmer all this for a few minutes until the kale becomes tender. Just simmer, no heavy boiling. Meanwhile take the miso paste and dissolve it in a little of the soup broth so there are no lumps of miso. You can use the back of a spoon or anything you have that works. I use a special Japanese bowl called a “suribachi” that comes with a special masher called a “surikogi.” This works perfectly and I have them because I make miso soup very often. 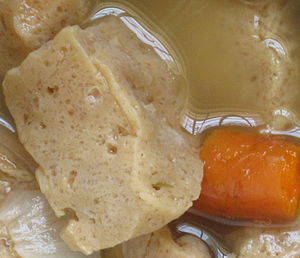 When the soup ingredients are tender, turn the soup down so it isn’t boiling at all. Then add the miso dissolved in hot broth. At this point you can turn the stove off and the miso will cook in the hot broth. The miso will break down and look cloudy and it is done. Serve it out garnished with a few slices of the white end of the scallion. This makes 2-3 servings. You can add small, thin cuts or slices of your favorite vegetable(s) to vary the soup recipe as you like and experiment from there. Bring the water, kombu and shiitake mushrooms to a boil. Simmer the stock until the mushrooms are tender. Remove the mushrooms, discard the stems and dice the mushroom caps and add them back to the pot. Add the onions and simmer until sweet and translucent. Then add the garlic, parsnip, rutabaga, seitan and barley in that order. Simmer the stew with enough water to cover the barley until it is tender, about one hour. Add a little more water to get your desired thickness. Add the parsley at the last minute and season with soy sauce to taste. Serve in a bowl with scallion garnish. Some lightly boiled greens or a salad with some whole grain bread would go well with this dish. So I say make every Sunday “Souper Bowl Sunday!” Take some time to make a great soup that you can eat all week!